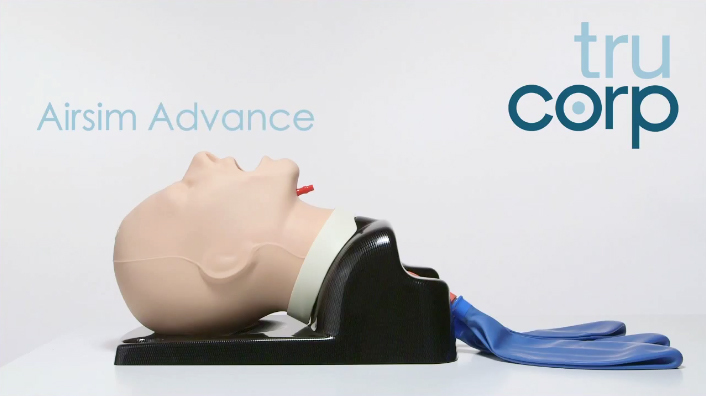 Highly realistic and fully functional airway training system. 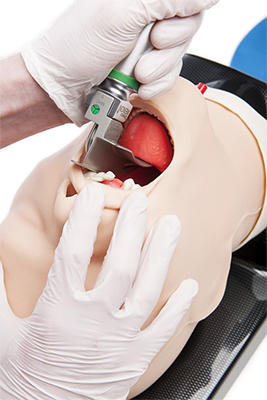 The AirSim Advance features the uniquely constructed AirSim airway, designed to provide true, anatomically correct and visually accurate internal features. The addition of a “real-feel” skin covering provides a more realistic bag mask ventilation training experience. AirSim Advance features an improved neck design allowing for accurate articulation. 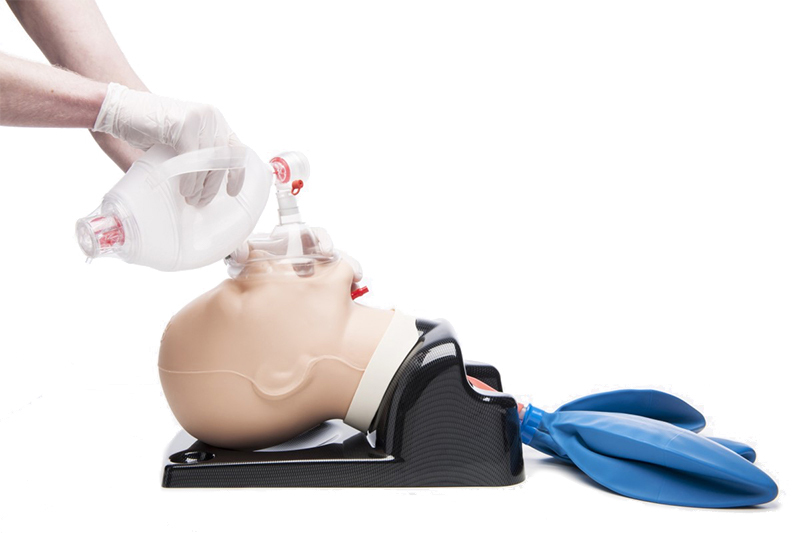 The AirSim advance features the uniquely constructed AirSim airway, designed to provide true, anamatically correct and visually accurate internal features.The addition of a "real-feel" skin covering provides a more realistic bag mask ventilastion training experience. Airsim Advance features an improved neck design allowing for accurate articulation. AirSim Advance also features an anatomically accurate nasal passage, inflatable tongue to increase difficulty of airway and an option to include "breakout teeth" to stimulate the effects of bad practice in Laryngoscopy.